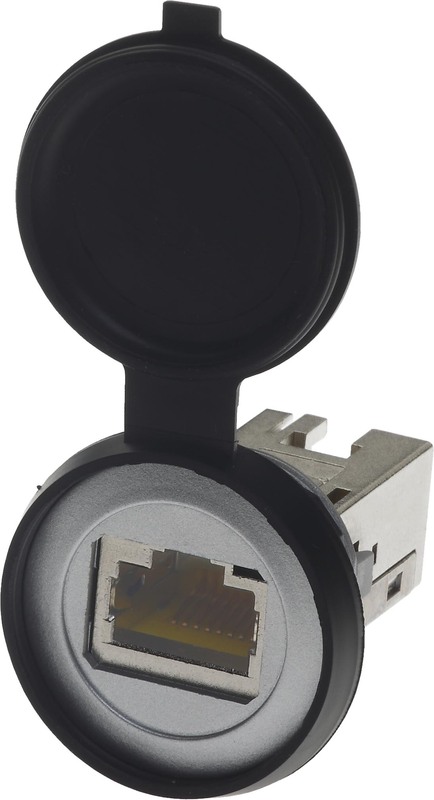 With har-port HARTING offers the user all service interfaces for Ethernet, USB, video and audio signals. Controllers and industrial PCs are made accessible from the outside in a simple and visually appealing way, which predestines the service interface for use in control cabinet construction, in operator terminals, in trains or in medical devices. The application possibilities are hardly limited. Thanks to its compact and elegant design, however, har-port is also an ideal communication interface for conference tables or high-grade workstations. The assembly calls for just one central fastening nut in a standardized circular 22,5 mm panel cutout, which is also used for all industrial control switches. There are color options available in silver, black, white and stainless steel. The har-port product range includes service interfaces for 1/10 Gigabit Ethernet, USB 2.0 and 3.0 as well as video and audio signals. 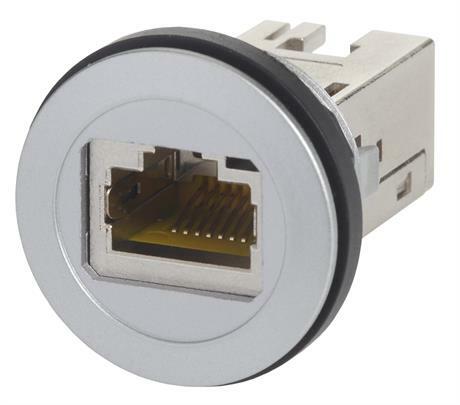 For Ethernet, versions with RJ45 coupling or ready-mounted patch cords are available in lengths from 0.15 m to 10 m.
In the version with RJ45 socket, the user can feed Ethernet up to Cat.1 / 10Gigabit. In the case of an application only a standard bore in 22,5mm is necessary. 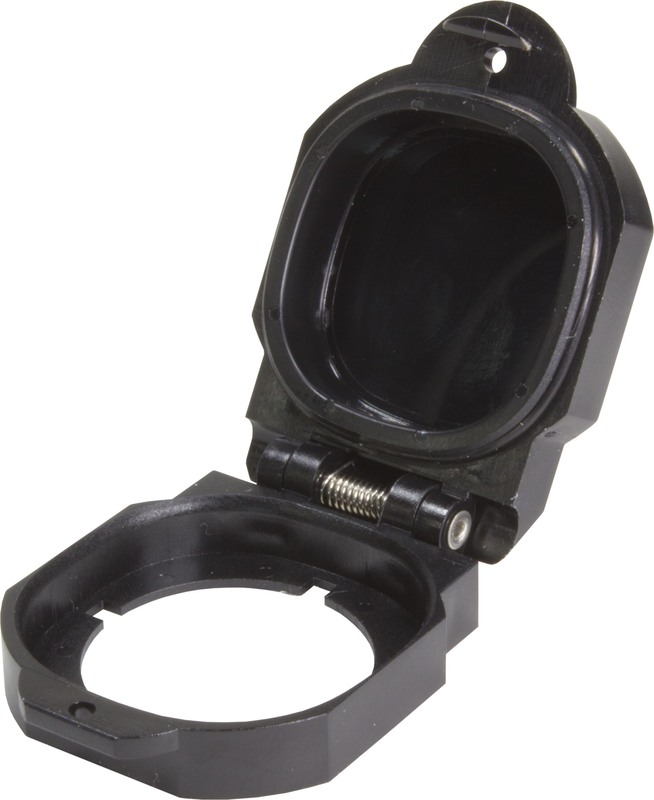 The service interface is simply screwed on the back with a lock nut and securely fastened. 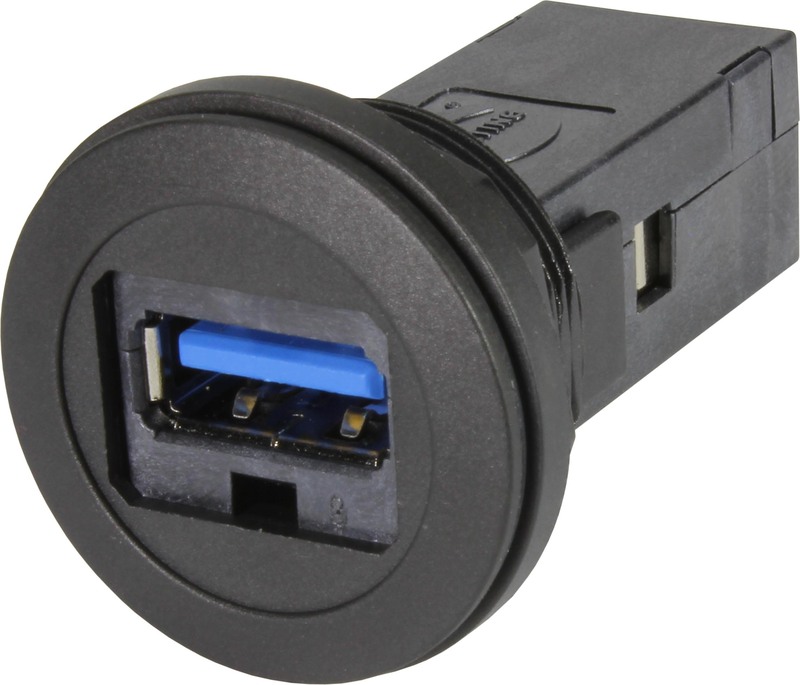 har-port is available with USB interfaces in USB 2.0 or USB 3.0. 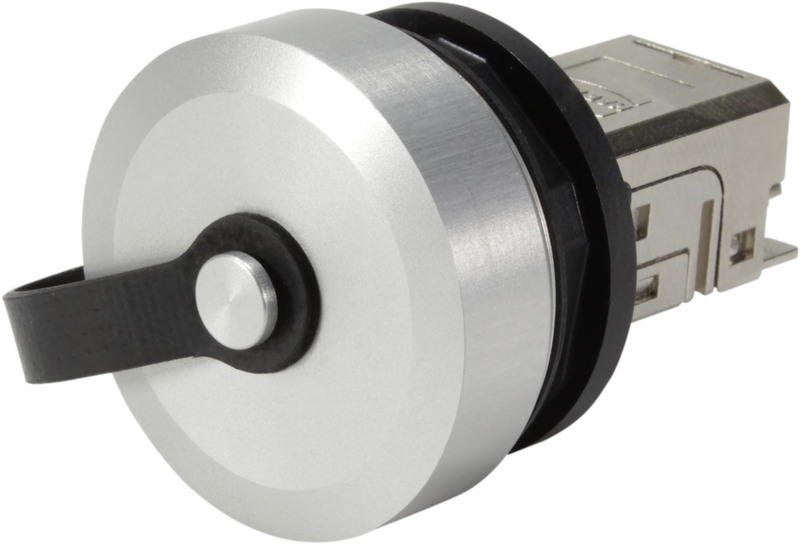 Also Mini USB 2.0 is of course available for customer applications. 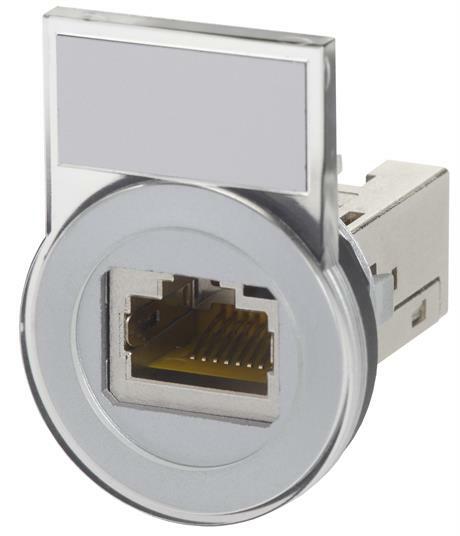 The har-port product range comprises service interfaces for 1/10 Gigabit Ethernet as well as USB 2.0 and 3.0 Type A. Practice-oriented accessories such as protection covers and sealing covers that protect the interface against unauthorized use and label holders that can be mounted at a later time complete the new HARTING product range. 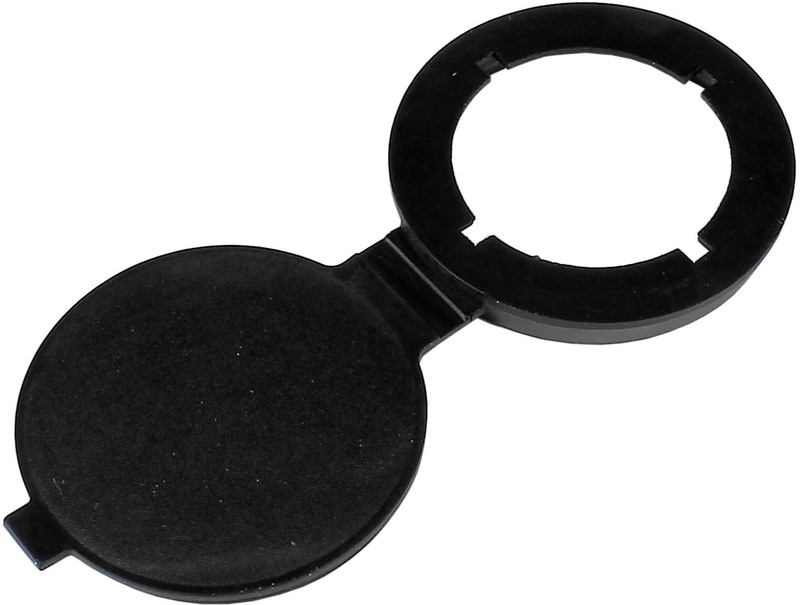 The available rubber caps can be easily retrofitted when needed and protect your application from penetrating moisture or dust. 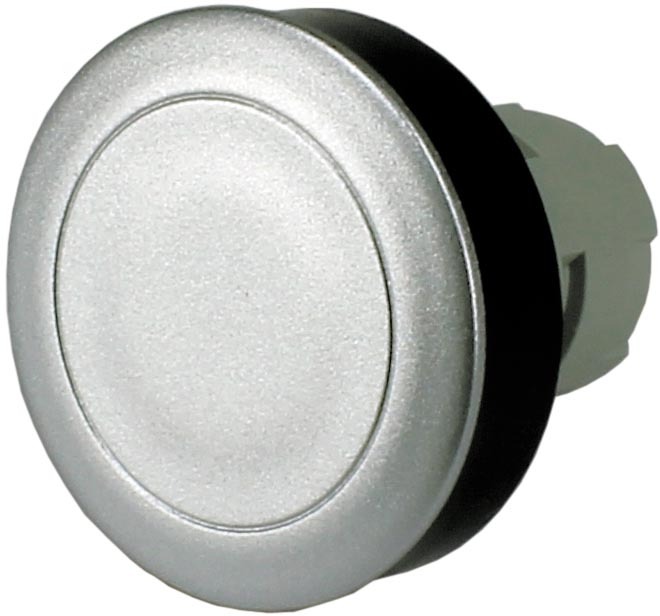 The available metal protective cap can also be easily retrofitted. It protects your service interface from moisture and dirt. 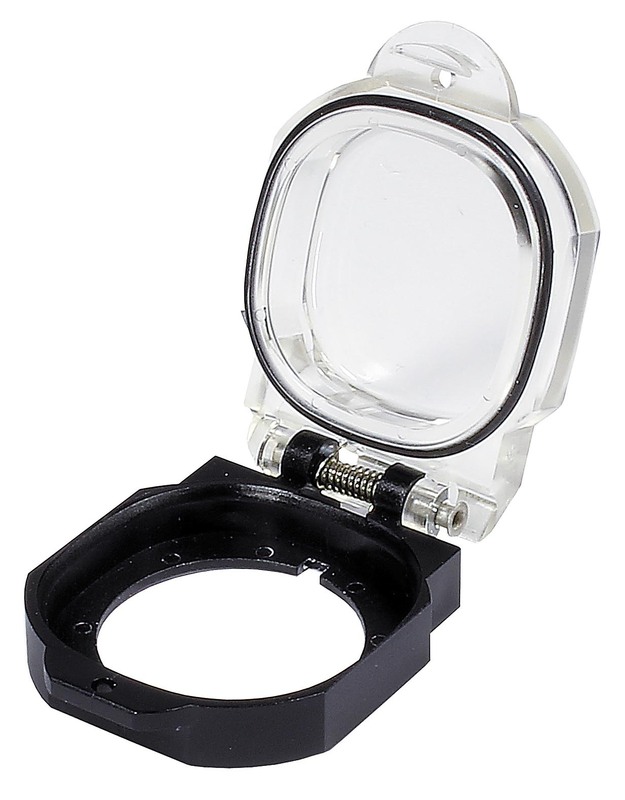 Its elegant appearance makes it particularly suitable for applications in which optical aspects are crucial. 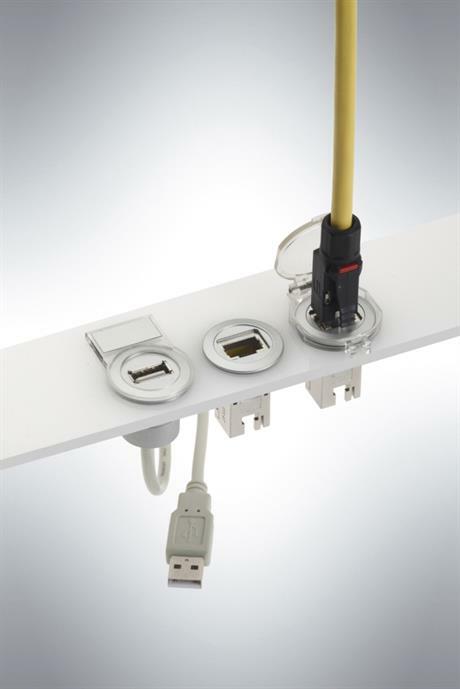 The accessories for the har-port service interfaces also include additional attachments for labeling individual connections. They ensure proper assignment and connection when multiple ports are side by side. 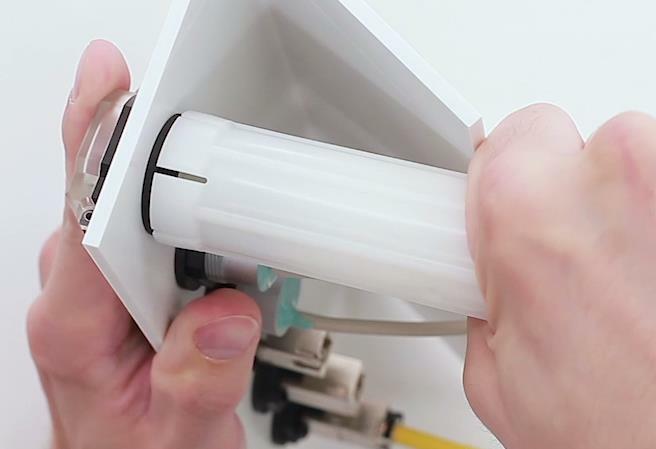 The available blind cover is useful if you want to intentionally lock a service interface and protect it from inadvertent use. Likewise, with the blind cover an interface can be occupied, which should be put into operation later, when a system requires an additional interface. hand. If the recommended torque is reached, the operator feel and get an acoustic feedback.